Roy Rogers, posing as The Carson City Kid, is determined to exact vengeance on his brother's killer. This isn't a bad little B-western. The story's just about right for the length of the picture, and the cast does a credible (if not spectacular) job. I also like Joby's character quite a lot. There's only a couple of songs, but for an hour-long program that might be about right. Would have liked Roy to sing a bit more though. I didn't know what to expect going into this one... but I must say I was pleasantly surprised. They made this remake right,,, changing it enough to be viewed as a different film, but yet making enough of it the same to pay a good homage to the original. I really liked the entire cast in this one. The story line was well done and kept my attention through-out with ease. I would definitely recommend this one to anyone that is a fan of the original. Be heard. Be strong. Be proud. It's time to turn up the music and have some fun with an all-new Disney Channel Movie, starring Bridgit Mendler and Adam Hicks and introducing ten awesome new songs! When five ragtag freshmen first meet in detention, it seems they have nothing in common. But, through music, they form an unbreakable bond and discover they have the makings of the greatest high school garage band in history! In the face of incredible odds, Olivia, Stella, Wen, Mohini and Charlie find they can make a real difference when they learn to lean on each other and let go of everything holding back their dreams. 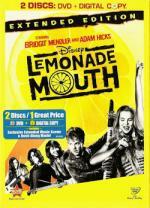 Turn the world into your own stage with Lemonade Mouth: Extended Edition, complete with an exclusive music scene. Life is just a roller coaster - take the ride! This is another one that surprised me that I enjoyed it as much as I did. A film I found on Netflix and do plan on adding to my collection at some point in the near future. I liked how they did the story line... it easily kept my attention from beginning to end. And I enjoyed all the characters. Another film I feel comfortable recommending. I got another one in this morning... but don't have the time to review it... will get it reviewed tomorrow. 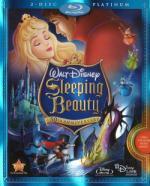 For the first time ever, the magic of Blu-ray™ high definition technology reveals the full scope of the glorious artistry and attention to detail in Walt Disney's groundbreaking Original Classic Sleeping Beauty. This spectacular 50th Anniversary Blu-ray edition is a sensory celebration—with more of the film than you've ever seen before! From the grand celebration of Princess Aurora's birth, to the fateful day when she falls under Maleficent's evil curse, to Prince Phillip's courageous battle against a fire-breathing dragon, the new digital restoration and Disney Enhanced High Definition Sound will awaken your senses and envelop you in this fantastic world. When you're a kid, you don't realize how absolutely, thoroughly inept those three faeries are. I mean, not only do they botch their whole plan with stupid infighting over the color of a dress, but Merryweather's insulting Maleficent could honestly be argued to start the whole thing. It's no wonder Maleficent is the breakout character - she's the only intelligent, interesting one. 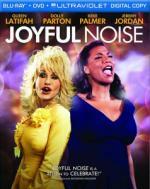 Oscar® nominees Queen Latifah and Dolly Parton star in this funny and inspirational story of music, hope an love. Their small Georgia town has fallen on hard times and is counting on the church choir to lift everyone's spirits by winning the national Joyful Noise Competition. But discord between the two leading ladies threatens to tear everything apart when Vi Rose (Latifah) plans to stick with a traditional style, while fiery G.G. (Parton) wants to shake things up in a big way! While this is a fun and entertaining film... I have definitely have seen better. 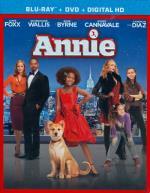 I felt the acting could be better... which always dampens the entertainment value. But it is a good story. Over all I would say it is worth the time put in to watch it...but there are definitely better choices out there. American GI Ernie Williams, admittedly weak-kneed, has an uncanny resemblance to British Colonel MacKenzie. Williams, also a master of imitation and disguise, is asked to impersonate the Colonel, ostensibly to allow the Colonel to make a secret trip East. What Williams is not told is that the Colonel has recently been a target of assassins. After the Colonel's plane goes down, the plan changes and Williams maintains the disguise to confuse the Nazis about D-Day. I watched this one last night on Amazon Prime. Watching it I don't know that I personally would consider this one a musical but both Amazon Prime and IMDB has it listed as a Musical Comedy. I must say I just wasn't that impressed with this film. I am actually surprised how high the rating for it is on IMDB. I personally didn't find it very funny or very musical. But there is a fair share of music in it so I am including it in the marathon. Though this is not one I see the need to ever watch again. See no sense in adding this one to my collection. The 1984 classic is now the modern hit that will make you stand up and cheer! Big city teen Ren MacCormack (Kenny Wormald) moves to a quiet town and discovers that the hard-line minister has outlawed loud music and dancing. But everything changes when Ren challenges the ban, revitalizing the town and falling in loe with the minister's daughter Ariel (Julianne Hough). 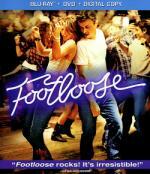 Critics and audiences agree "Footloose has an infectious spirit"* so get ready to cut loose. This one I really liked the story line and I felt the cast all did a fine job. I find it well worth the time put in to watch it. Compared to the original? While that is something I don't normally like to do I will say this one seems to over explain the plot...more in your face. Has the viewers in general really lost that much of an attention span that everything must be explained step by step? Over-all I feel comfortable recommending this one. Yeah Dakar Cassandra... What's the prize?